~*~ Juz Mel: Part & Parcels of Life ~*~: Malvern Collectibles Fair and Darling's Birthday Celebration. Malvern Collectibles Fair and Darling's Birthday Celebration. 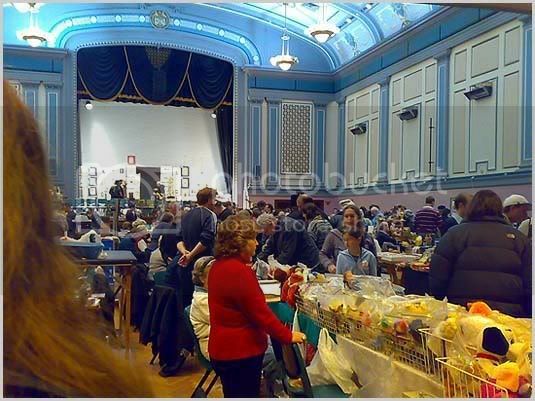 Darling and I went to a collectibles, hobby and memorabilia fair at the Malvern Town Hall a couple of weeks ago. As usual he was keeping me company as this was another event organised by the guys from the OZ Transformers forum. Even then, it was not all boring for him as it's the first we ever went to such a fair, there were some pretty fascinating old stuff that people were selling there. I took quite a few photos on my phone, but it was accidentally deleted because of some technical fault with the Nokia PC Suite, so I'm left with only one below and the other two were taken from Events Vic website. The interior of the town hall looked something like a small version of Melbourne's Regent Theatre. It also had a 2nd level platform with seats for people to watch, I'm guessing musicals or performances in the past. Now I think they use it for community use. Found some old school McDonald's snoopy stuff that was sold in the 1990s! And yet more stalls! 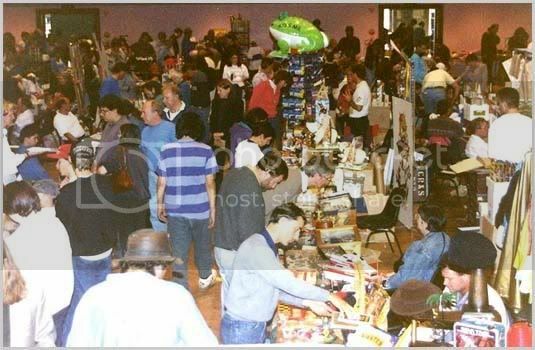 There were about 50 or 60 over stalls I would say and other stuff you can find include lots of old and new Star Wars comic books, figures, Lego sets, video tapes, CDs and more! Seemed like people are pretty crazy about Star Wars. 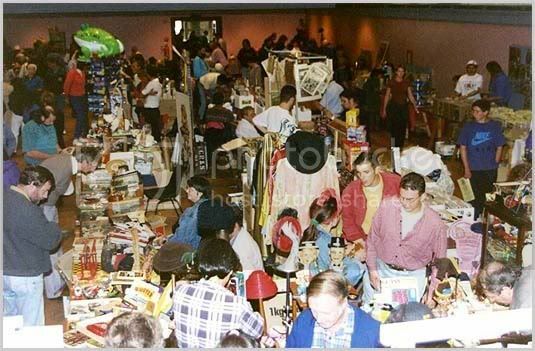 There were also signature products and old collector's item like Antique dolls, Beanie Baby toys, model cars from the 1980s and so much more! Also saw old porcelain tea sets, old board games, heaps of old movies and comics, toys and also other quaint elegant stuff. We also celebrated the birthday's of darling, weichao and a belated one for Lex on 16th August. 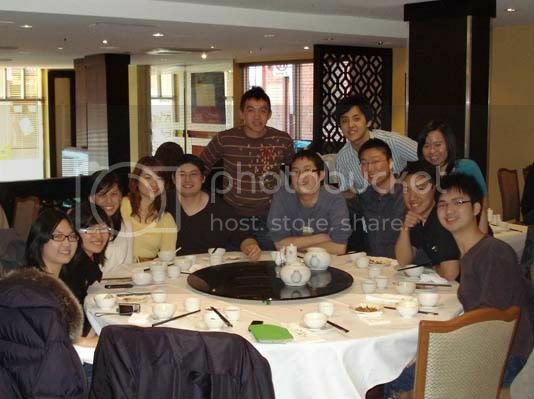 It was a birthday luncheon at Shark Fin's house in Melbourne. I thought the food was alright, for some funny reason, it didn't taste quite the same as before. 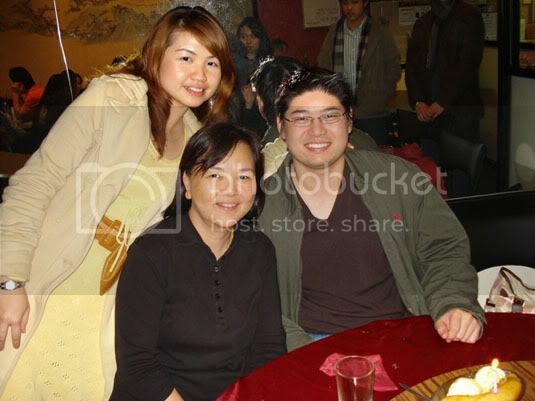 Then in the evening, darling decided to give everyone (who could make it), a treat at Wah Kee, a Malaysian Chinese restaurant that we love to go and eat at Clayton. Usually we get our food in about 15-20mins, but because that was a Saturday night and we eat ordered individual stuff like Prawn noodles, Curry Laksa, Hokkien Noodles, Beef Hor Fun (I know I'm making you hungry! 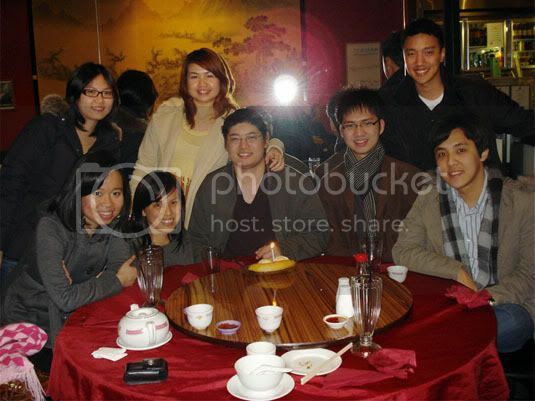 :D), the food took about 1 hour 30 minutes to come.